Diabetic muscle infarction (DMI) is an underreported complication of poorly controlled diabetes mellitus. 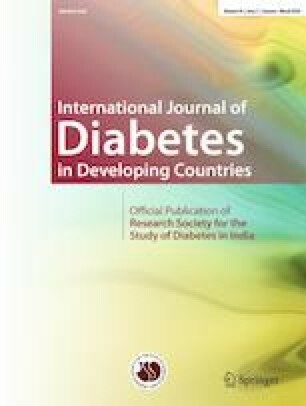 We present clinical and laboratory data of two patients, a 27-year-old woman with Down syndrome and type 1 diabetes mellitus (T1DM) and a 47-year-old man with type 2 diabetes mellitus (T2DM) who presented with DMI. Poor control of T1DM and delayed diagnosis of T2DM were the major underlying factors in these cases. Although the condition responds well to conservative treatment, overall prognosis of patients is poor with respect to diabetes complications and mortality.